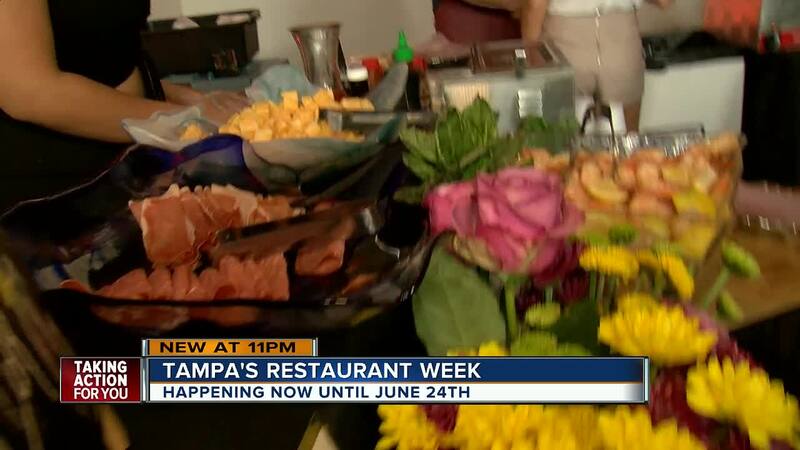 TAMPA, Fla. -- Creative Loafing's Tampa Bay Restaurant Week is back for an eleventh year. For a limited time, dozens of local restaurants are offering affordable three-course prix fixe meals. 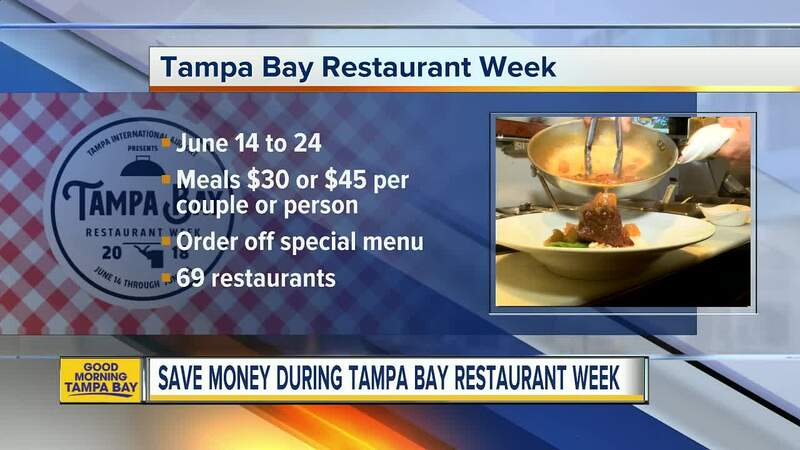 To take advantage of the savings, all you need to do is visit any of the 69 participating restaurants between Thursday, June 14 and Sunday, June 24 and ask for the special Tampa Bay Restaurant Week menu. The three-course meal is only $30 or $45 per couple or person (depending on the restaurant). It is a great way to try out a new restaurant without worrying about how much the bill will be at the end of the night. Creative Loafing is also sponsoring a photo contest for Restaurant Week where you could win $500 in deals. To enter the contest, all you need to do is take a photo of your Restaurant Week menu and meal and post it on Instagram by adding your location at the participating restaurant. You will need to tag the photo with @cltampabay and the hashtag #CLRestaurantWeek. You can view the menus online at tampabayrestaurantweek.com .